Protest campaigns against large-scale public works usually take place within a local context. However, since the 1990s new forms of protest have been emerging. 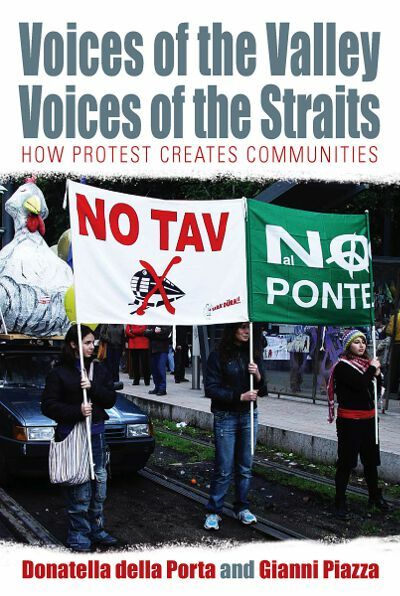 This book analyses two cases from Italy that illustrate this development: the environmentalist protest campaigns against the TAV (the building of a new high-speed railway in Val de Susa, close to the border with France), and the construction of the Bridge on the Messina Straits (between Calabria and Sicily). Such mobilizations emerge from local conflicts but develop as part of a global justice movement, often resulting in the production of new identities. They are promoted through multiple networks of different social and political groups, that share common claims and adopt various forms of protest action. It is during the protest campaigns that a sense of community is created. Donatella Della Porta is Professor of Sociology at the European University Institute. Her recent publications include Globalization from Below(University of Minnesota Press, 2006); Quale Europa? Europeizzazione, identità e conflitti (Il Mulino, 2006); Social Movements: an Introduction (2nd edition, Blackwell, 2006) and Transnational Protest and Global Activism (Rowman and Littlefield, 2005). Gianni Piazza is researcher and lecturer of Political Science and Public Policy Analysis at the University of Catania. He is the author of La città degli affari (1994), Sindaci e politiche in Sicilia (1998) and the co-author of Politiche e partecipazione (2004) and Protests and Arguments: The Citizens' Committees' Campaigns Against Traffic in Four Italian Cities (2005). 3. Diagnosis and Prognosis: What Progress?